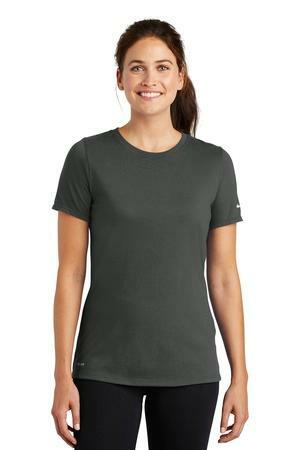 This Nike performance tee features sweat-wicking fabric to help keep you dry and comfortable. Durable rib knit scoop neck. Heat transfer label for tag-free comfort. Double-needle stitching throughout. Contrast heat transfer Swoosh design trademark on left sleeve. Contrast heat transfer Dri-FIT logo at right hem. Made of 4.7-ounce, 65/35 cotton/poly Dri-FIT fabric.